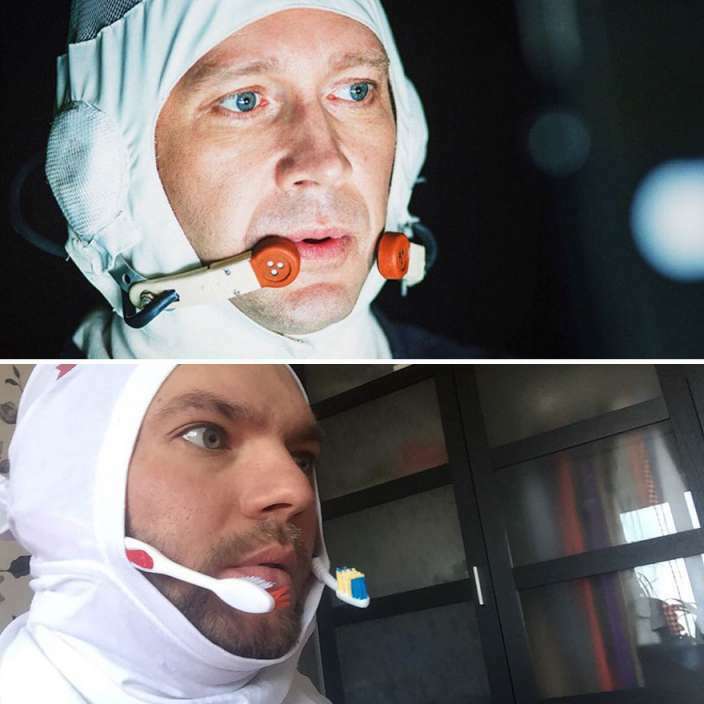 If you love low-cost cosplay, you are going to love the creativity of this Russian Guy. 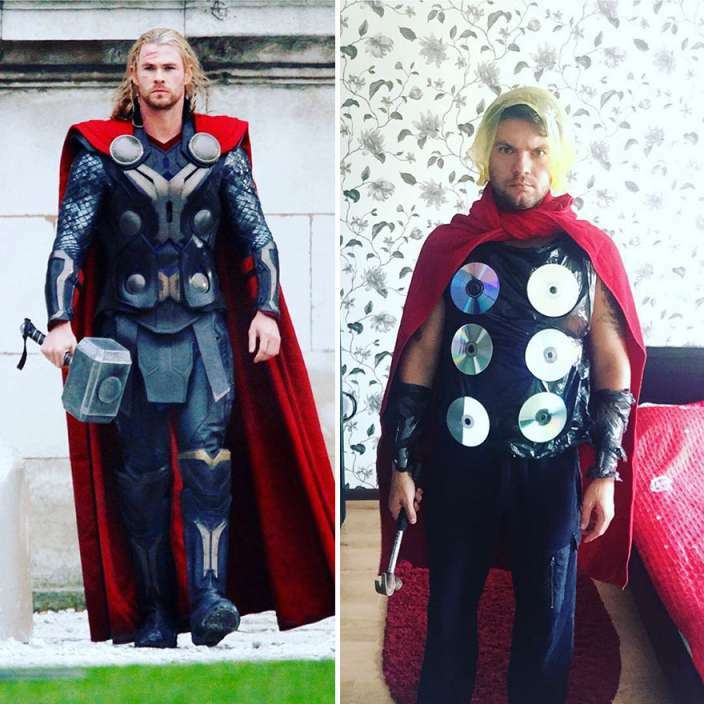 This article is all about a young Russian Guy from Moscow named Alexander Kravets who uses cheap household things to create low-cost cosplays. 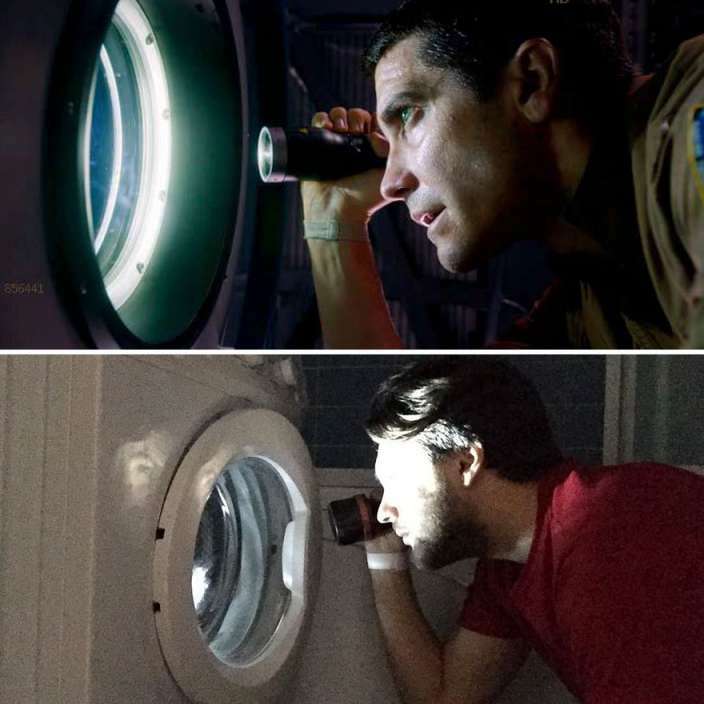 Alexander is doing these cheap cosplays since 2015 in which he recreates iconic movie scenes, celebrity outfits using the commonly found things at home. Believe us you are going to love his work and you’ll laugh hard at his cheap cosplays. His work has earned him more than 95K followers on Instagram and he’s already an Instagram sensation. 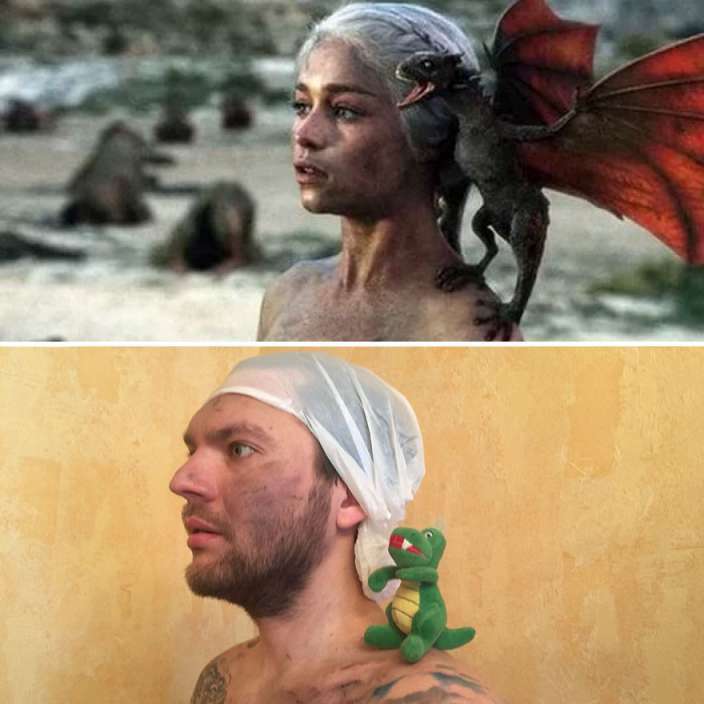 Have a look at some of his funniest and hilarious low-cost cosplays below. 1. 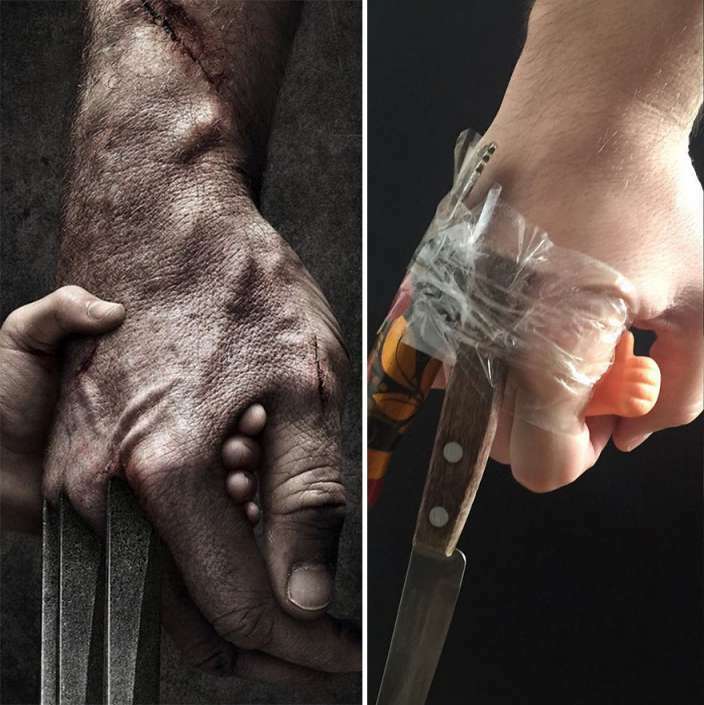 You know you don’t need claws to be a Wolverine. 2. We can’t decide which one of the little dinosaur is cuter? 3. 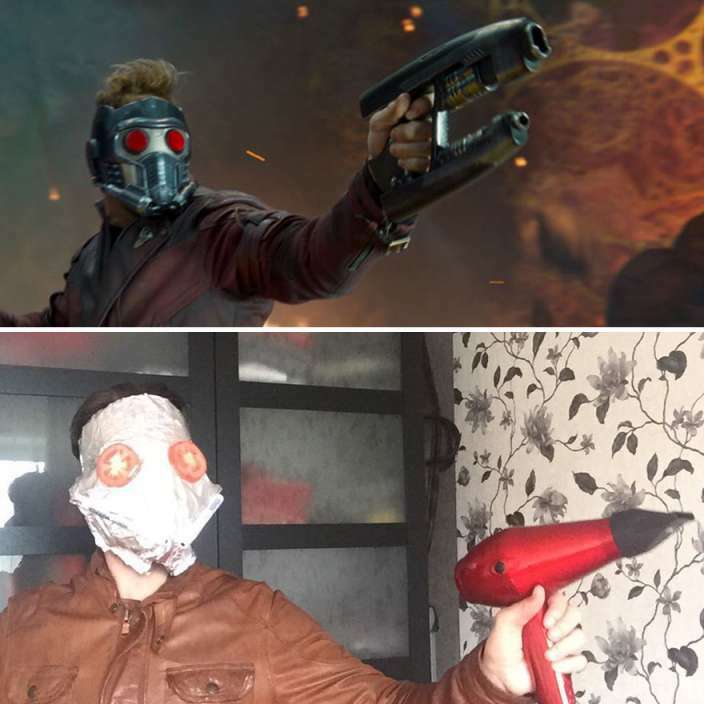 This is how you can use household items to create low-cost cosplay. 4. 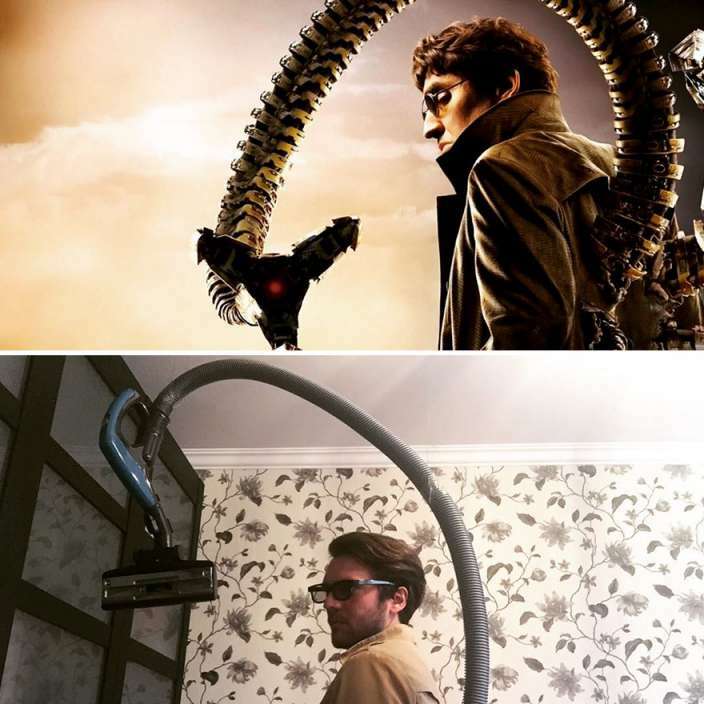 House cleaning must be so easy for this super villain. 5. This one is a little bit creepy, don’t you think so? 6. That’s why you should not throw your old toothbrush. 7. 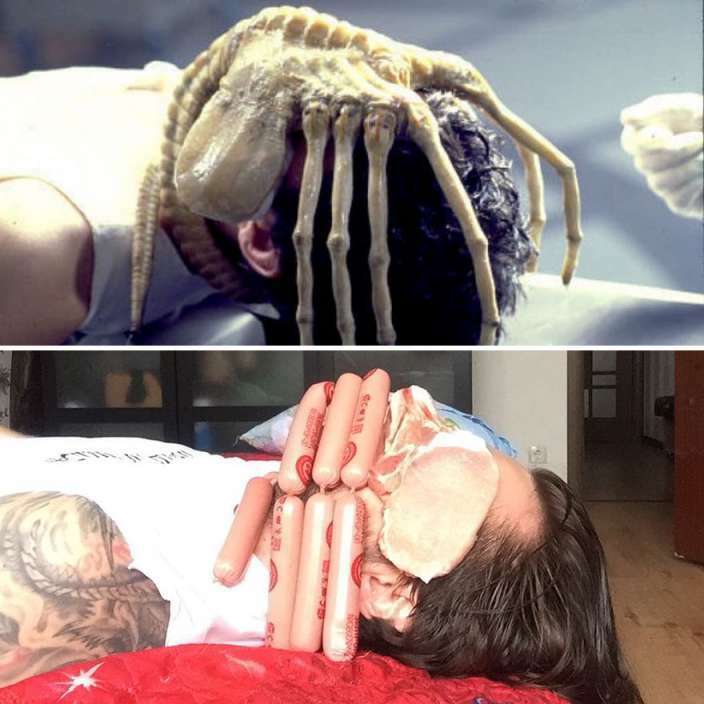 This one is our favourite low-cost cosplay. 8. A cat is a cat no matter what. 10. 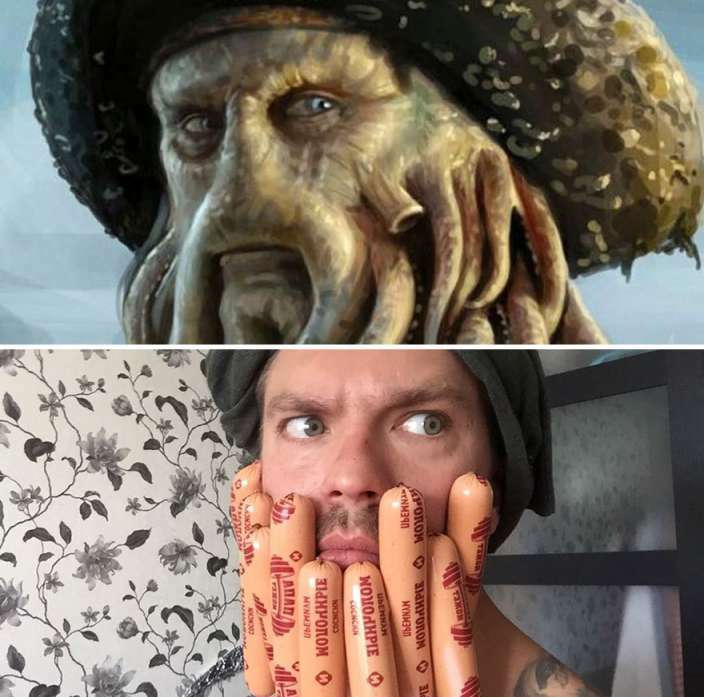 That’s why we love sausages. 11. 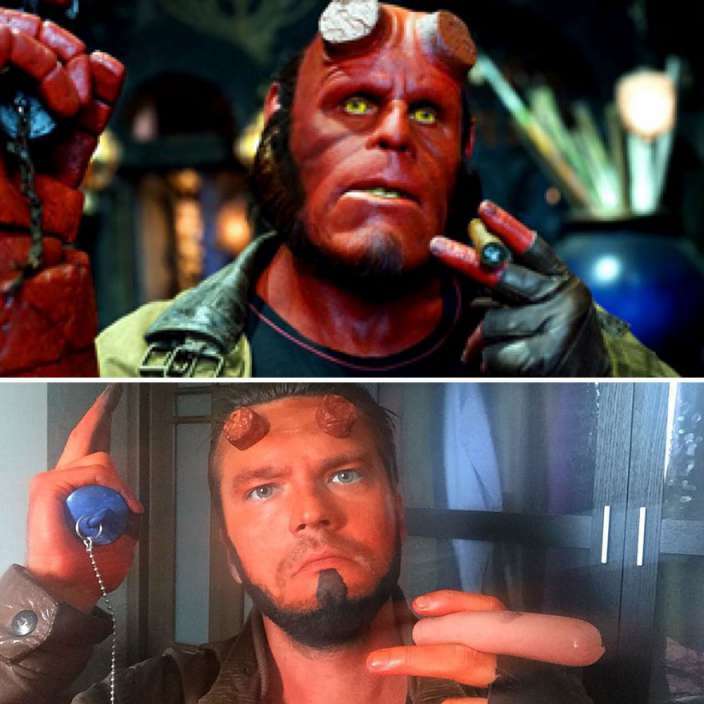 Hellboy may become angry after seeing this. 12. This Russian Guy looks even mightier than the Thunder God. 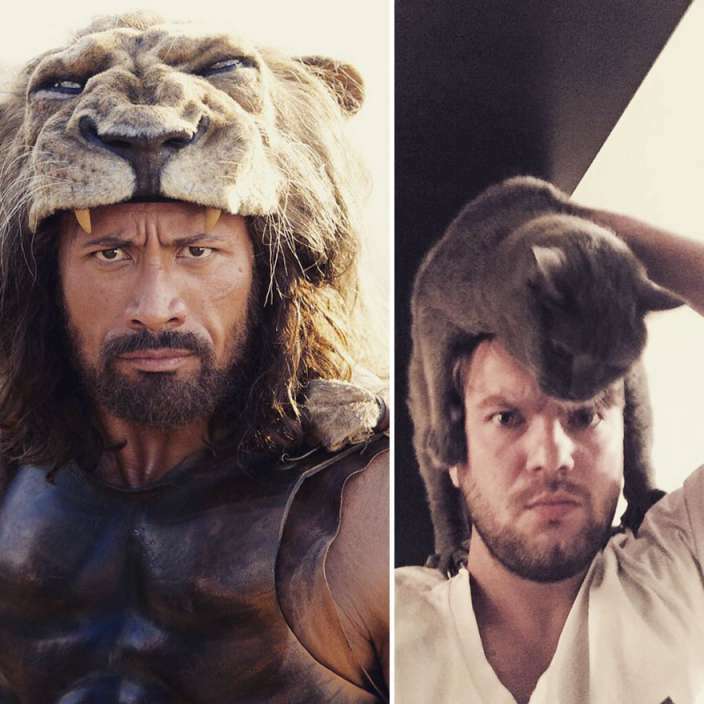 Related: This Guy Hilariously Recreates Movie Costumes & The Result Is Hilarious. So which one of the above low-cost cosplay is your favourite one. 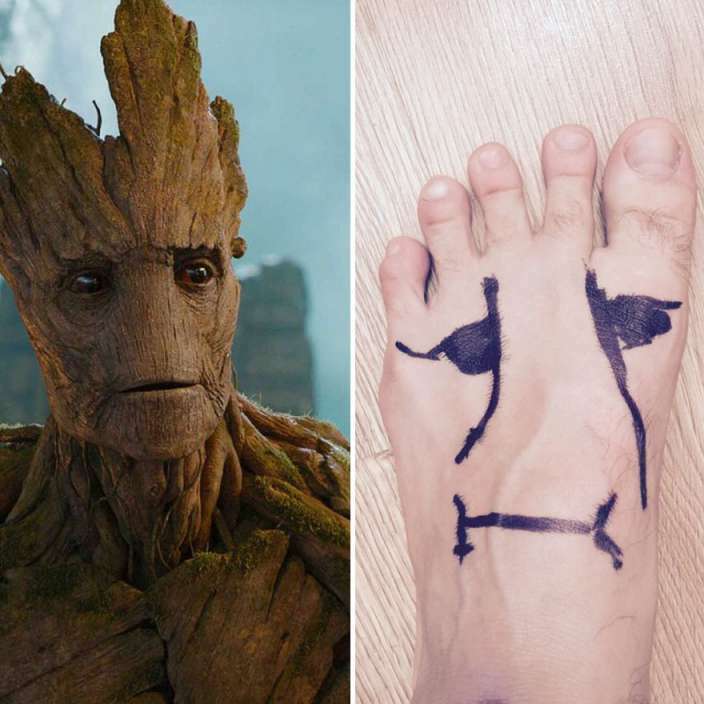 If you laughed hard after seeing his cosplays, then don’t forget to share this article with your loved ones.